Matthew McConaughey has such an innate ability to charm that you can't help but like him even as his character makes vile homophobic slurs and acts like a loud, boorish redneck. He's not relying on his movie star good looks either; they have been stripped away completely. Now dozens of pounds lighter with bad brown hair and a bushy mustache, his appearance is almost skeletal. "Dallas Buyers Club" tells the true story of Ron Woodroof (McConaughey), a good old boy from Texas who was diagnosed with HIV in 1985. Back then, HIV and AIDS were still considered "the gay cancer." But Woodroof is proudly, fiercely straight. 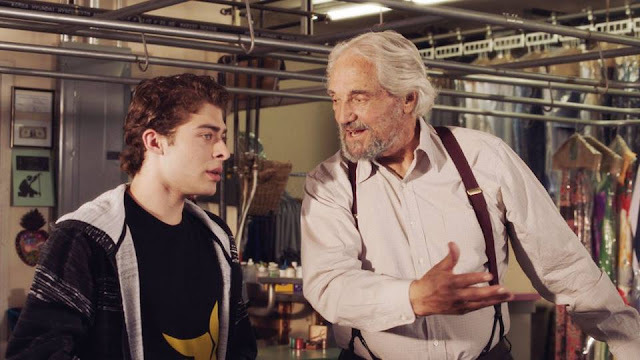 The movie begins with him cracking jokes about Rock Hudson's homosexuality – the actor had just died from AIDS. With that mindset, Woodroof's own subsequent HIV+ diagnosis is a shock to his system. His friends certainly don't know how to handle it; they believe he must secretly be a "cocksucker." The only one who remains loyal to him is Tucker (the underrated Steve Zahn in a small role). Experimental trials are beginning for a new HIV drug called AZT, but not everyone who needs it can get their hands on it; testing is strictly controlled. Given only 30 days to live, a desperate Woodroof approaches a sympathetic doctor, Eve Saks (Jennifer Garner), and begs her to let him buy the drug. She understands his plight but cannot accept his money; her hands are tied by medical laws and the FDA. Woodroof uses his street smarts to get AZT smuggled out of the hospital. Originally intending to use it only on himself, his plans change after he meets a savvy transgender patient, Rayon (Jared Leto). Despite Woodroof's discomfort around Rayon, they go into business together to supply other people with HIV who need meds right away. At first, the Dallas Buyers Club is just a means to an end: a way to make money and stay alive. But it soon becomes much more than that, especially when the validity of AZT comes into question. With the help of a medical practitioner in Mexico (played by Griffin Dunne) who lost his license in the States, Woodroof begins researching alternative treatments. One such drug, Peptide T, is not approved by the FDA despite being non-toxic. Another, Interferon, can only be prescribed by Japanese doctors. My doctor looks like him. 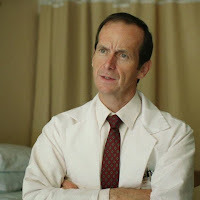 The Buyers Club's biggest obstacles are Dr. Sevard (Denis O'Hare) and the FDA themselves. Sevard is a strictly by-the-books doctor who is concerned with his own profit margins and won't take even one step out of regulation. The FDA, represented here by Richard Barkley (Michael O'Neill, who memorably portrayed hospital shooter Gary Clark on "Grey's Anatomy"), does everything in its power to make sure its guidelines are enforced – even at the cost of human lives. Both parties go out of their way to prevent the Dallas Buyers Club from securing and supplying crucial medication to people with HIV. Jennifer Garner's Dr. Saks is caught in the middle: beholden to her boss but beginning to see the benefit the buyers clubs are having in both Dallas and other parts of the country. Woodroof's transformation from homophobic hick to international businessman and medical researcher is fascinating to watch. 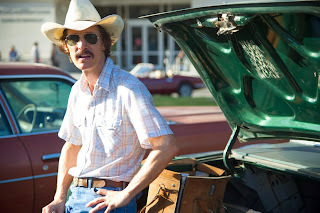 Matthew McConaughey once again delivers a mesmerizing performance – in a year filled with interesting roles from him. Along with "Mud," he is doing some of the best work of his career right now. The real revelation here, however, is Jared Leto. I've always been a fan of his work, but he takes it to another level entirely with his sweet, touching, and sometimes heartbreaking portrayal of the transgendered Rayon. I cannot imagine a scenario where he doesn't get nominated for an Academy Award. McConaughey deserves one, too. "Dallas Buyers Club" is a captivating portrait of another time and place – Dallas, Texas, in the mid-1980s – where AIDS was misunderstood and maligned, and help was all too rare for the people who so urgently needed it. Films like this remind us of how far we've come, and that bravery, progress, and change can originate from the unlikeliest of sources.